Fushimi castle (伏見城) is located at Kohatayama hill beside Ujigawa river, a hill at the south edge of long height spread from east side mountains of Kyoto city. 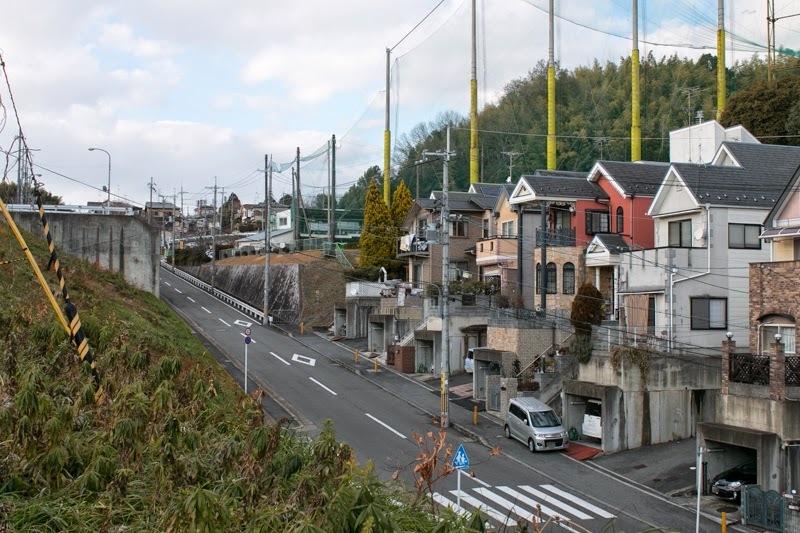 Fushimi area exists at 10 kilometer south of central Kyoto area, and a merging point of large rivers consist of Yodogawa river such as Katsuragawa river, Ujigawa river and Kizugawa river. 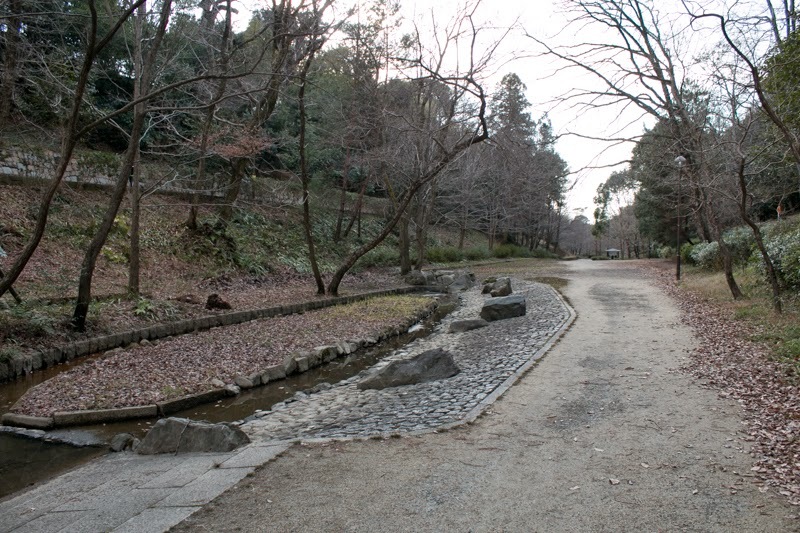 This area was an important point of communication connected Kyoto city, Osaka city, Otsu city and Nara city. Especially in medieval area there was a huge lake named Oguraike at the area surrounded by curved Ujigawa river and Kizugawa river, and Fushimi area was also vial area for river transportation. Historically there were many castles such as Yodo castle, Shoryuji castle or Makishima castle surrounding Lake Oguraike. Due to its geographical location these castles were involved in the important historical events. Makishima castle was the place of substantial ruin of Muromachi Shogunate by central ruler Nobunaga Oda (1534-1582) in 1573, and Shoryuji castle became the headquarter of Mitsuhide Akechi (1528-1582) at the battle of Yamazaki in 1582. Hideyoshi Toyotomi (1534-1582) who became the next ruler of Nobunaga Oda after the battle of Yamazaki, depended it power on the economic resource of Osaka city and political authority given by the Emperor lived at Kyoto city. 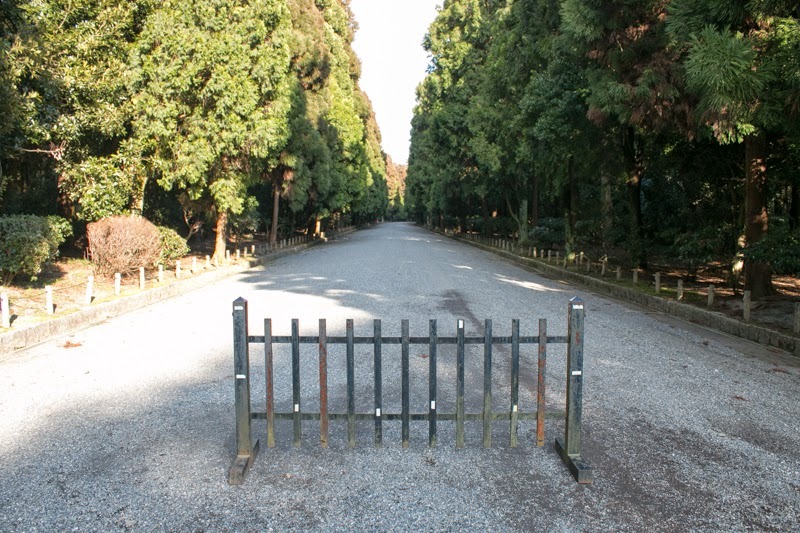 Because of this, it is a critical matter for Toyotomi government to guard Kyoto city and Osaka city. 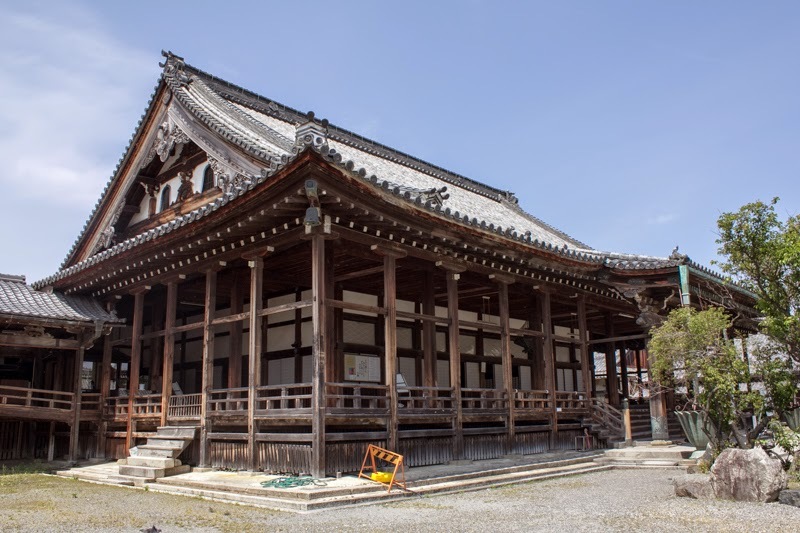 At first Hideyoshi built Jyurakudai, a residence style castle at the center of Kyoto city and placed his nephew and successor Hidetsugu Toyotomi (1568-1595), and also strengthened old Yodo castle as a front gate and placed his concubine Yododono (1569-1615). 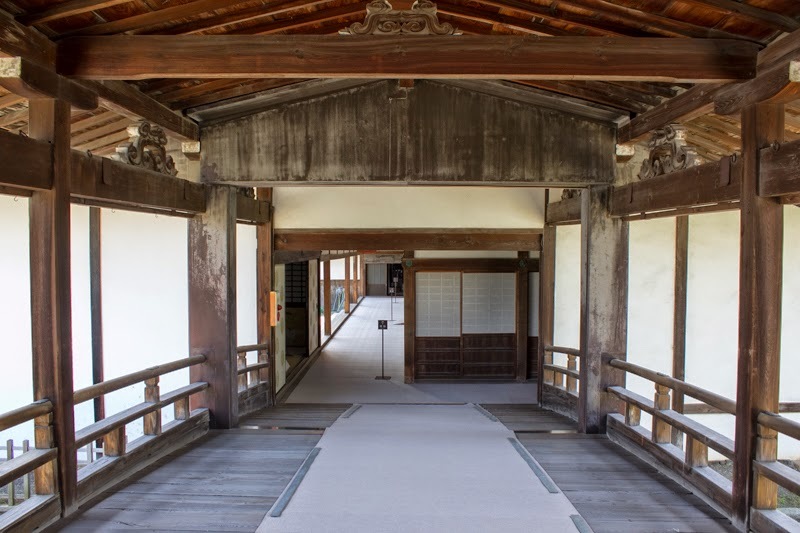 But in 1591, Hideyoshi newly built a new castle as a retirement place at the place of Shigetu, about one kilometer southwest of current Fushimi castle beside Ujigawa river. 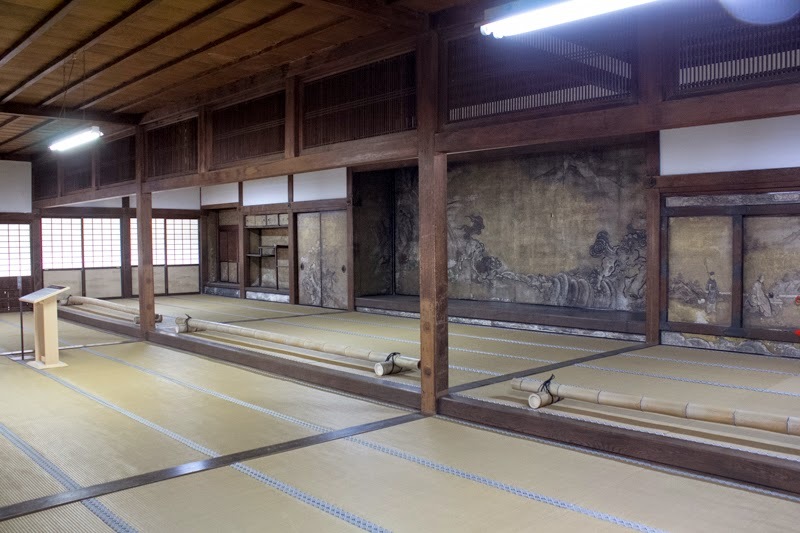 At first Hideyoshi planned to leave his position to Hideyori and retire, thus he hoped to live the place of Fushimi which at the middle of Kyoto city and Osaka city, to watch two resource of Toyotomi government and support Hideyori lived at Kyoto city. 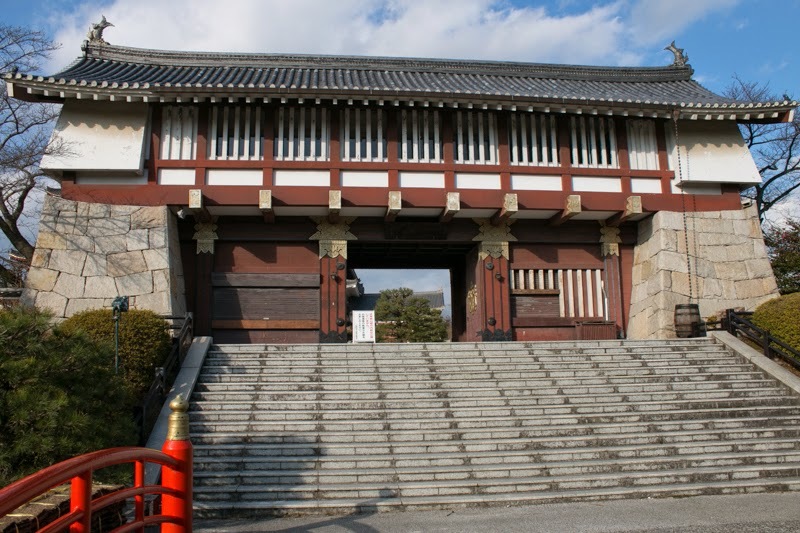 But two years later, Hideyoshi started to expand this residence into a secure castle. At that time Hideyoshi needed to show his authority to the envoy of foreign counties for negotiation of foreign expedition, and also Hideyori Toyotomi (1593-1615), his son was born then he plan to place Hideyori at Osaka castle, the economic center of Toyotomi government. Losing his efficient younger brother Hidenaga Toyotomi (1540-1591) in 1591, the triangle of Jyurakudai held by Hidetsugu, Osaka castle by Hideyori and Fushimi castle managed by Hideyoshi might be only one solution to continue Toyotomi government. But this triangle was quire fragile and easily collapsed. Hideyoshi and Hidetsugu fall into suspicions regarding succession to Hideyori, and in 1595 Hideyoshi finally purged Hidetsugu. Along with Hidetsugu Hideyoshi killed many hereditary retainers attached to Hidetsugu and Hidetsugu’s wives who were daughters of large lords, thus Hideyoshi lost many supporters for his government. 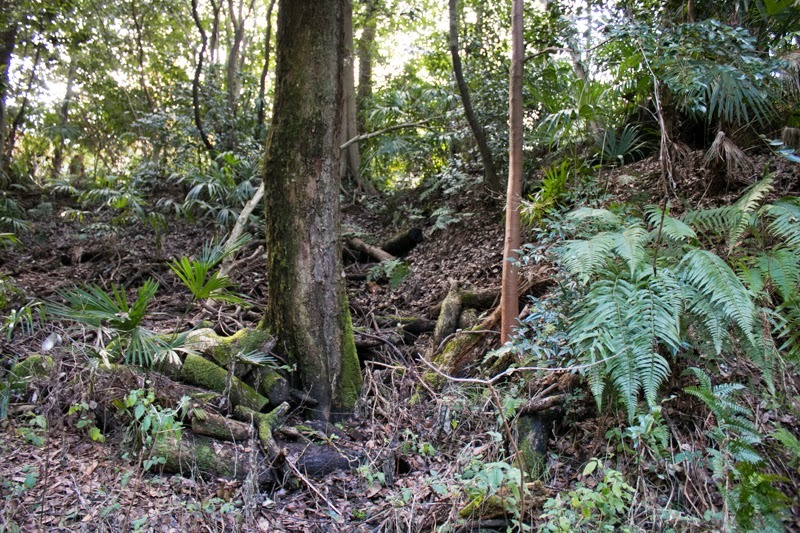 Beside, endless unrewarded foreign expedition evoked dissatisfaction among lords and people, and finally this Fushimi castle at Shigetsu itself collapsed by severe Keicho Earthquake in July 1596. Hideyoshi now had to manage both of Kyoto city and Osaka city only by himself then promptly reconstructed Fushimi castle. 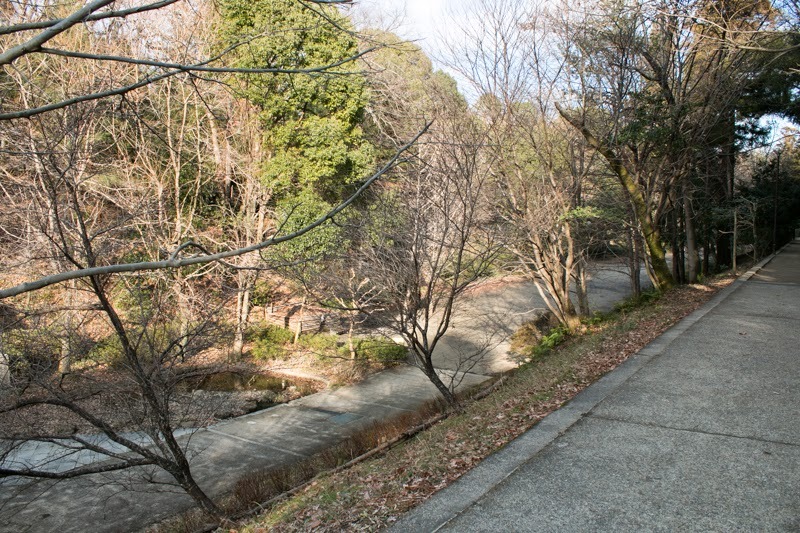 As former Fushimi castle was built at weak ground of riverside and collapsed, thus new Fushimi castle was built at a firm ground of Kohatayama hill. 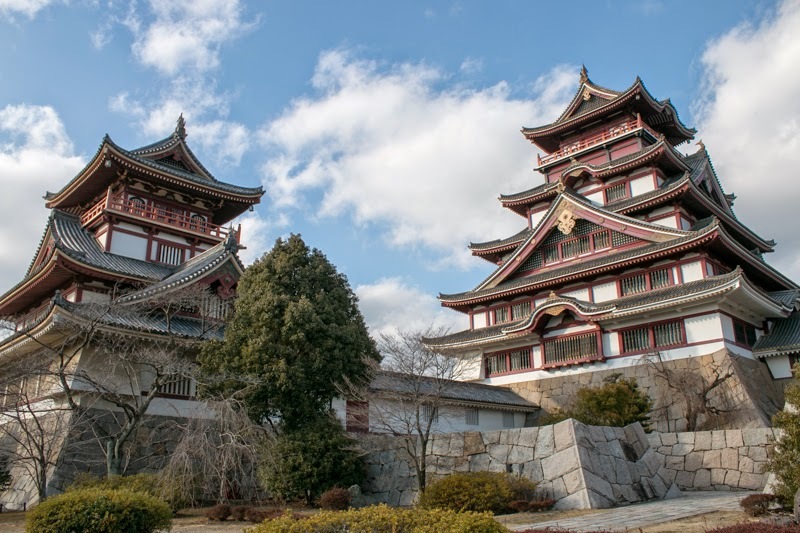 After half year construction, new Fushimi castle completed and Hideyoshi entered the castle. This Fushimi castle was a huge one spread over the hill of 1 kilometer long square. 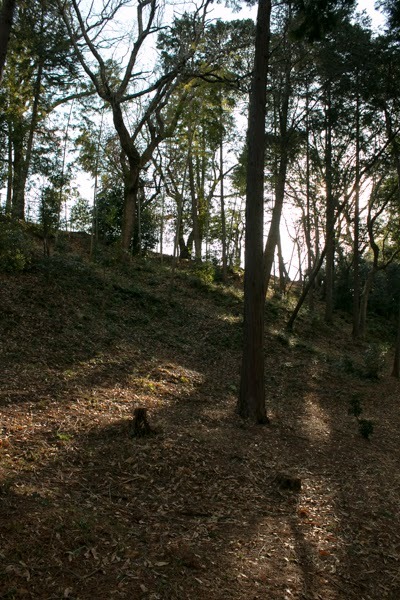 Now core part of castle site is used as a grave for Emperor Meiji and his empress, thus most part of important area becomes off limit and shape of the area might be destructed. 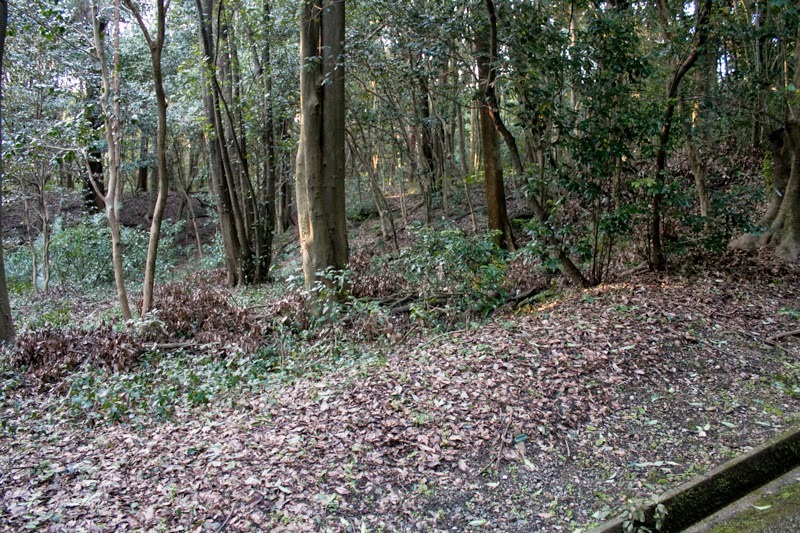 Due to this reason it is difficult to grasp the detailed shape of the castle, but according to the old record and investigation, roughly inner part included Honmaru (central area), Nishinomaru, Matsunomaru, Nagoyamaru and Jibusyomaru placed at the higher part of the castle, and outer part such as Ohanabatake, Okuramaru, Danjyomaru, Yamazatomaru or Shimaru surrounded upper areas. 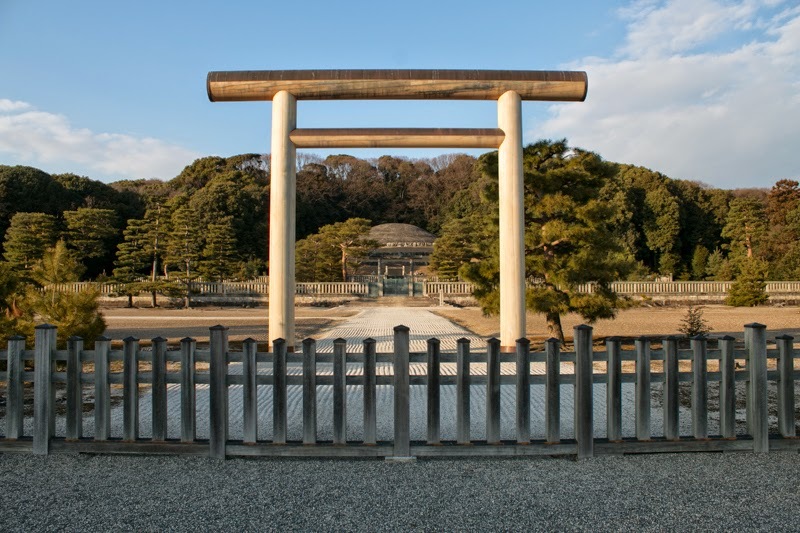 It is thought that Honmaru, Nishinomaru and Shimaru are applicable to current the grave of Emperor Meiji, and Nagoyamaru and Yamazatomaru correspond to the grave of Empress. 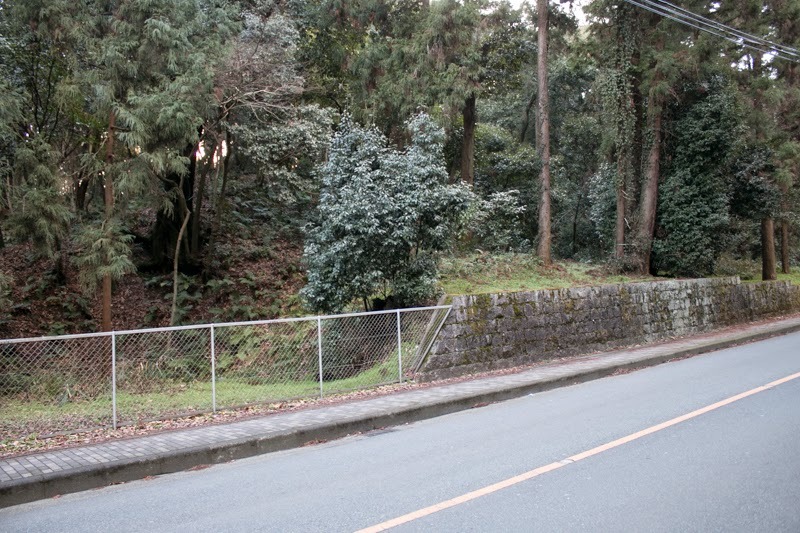 As Fushimi castle was built on a height spreads from northwestward and surrounded its south half by cliffs and river, thus north side of the castle was an expected combat front of the castle. At this side huge water moat of 100 meter width and 30 meter depth was built to keep apart the enemy, and inside the gate there was another drymoat to prevent the movement of attacking side and aim at from inside of the castle. 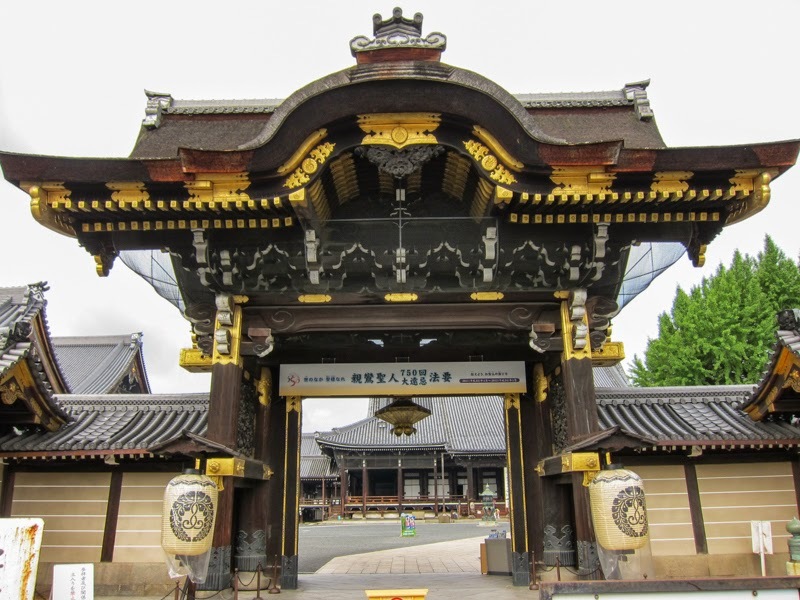 As Hideyoshi ordered every lords to have their residence at Fushimi and place their family, thus residence of feudal lords spread at the west side of the castle. Currently name of the lords are used as place names of these residence area. Although Hideyoshi built a huge and secure castle to protect Toyotomi government, there was no person of Toyotomi clan to protect this castle. To restrain the usurpation of Ieyasu Tokugawa (1543-1616), the largest lord under Toyotomi government after his death, Hideyoshi built a council system consist of five grand ministers selected from large lords and five major magistrates, and ordered them to support Hideyorhi until he grew up. In 1598, Hideyoshi died in ill, asking large lords including Ieyasu again and again to protect Hideyori. But just after the death of Hideyoshi, this scheme easily collapsed. Toshiie Maeda (1539-1599), who was the second largest lord and friend of Hideyoshi, was ordered to guard Hideyori and entered Osaka castle by the will of Hideyoshi, contrary to Ieyasu who stayed Fushimi castle to manage the government. Toshiie had a power and popularity to mix up generals of Toyotomi clan, but next year Toshiie also died in ill. 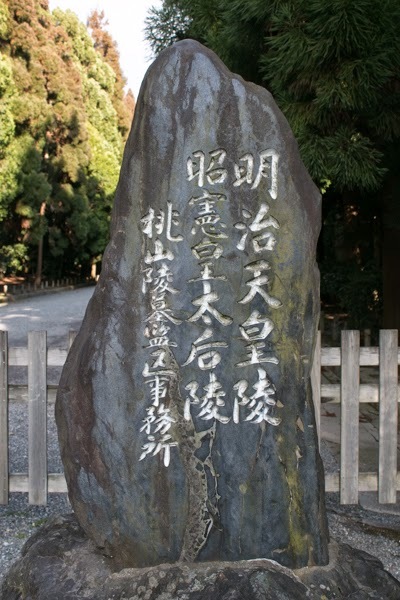 Seeing this situation Kagekatsu Uesugi (1556-1623), the third largest lord, returned to his distant territory Aizu region (Fukushima prefecture) to firmly hold his territory, thus there was no restraint for Ieyasu to seize the next hegemony. Seeing this situation, Mitsunari Ishida (1560-1600), the chief magistrate of Toyotomi government, tried to stop the action of Ieyasu. But Mitsunari was hated by front generals of Toyotomi government such as Kiyomasa Kato (1562-1611)or Masanori Fukushima (1561-1624) due to his under Hideyoshi. Ieyasu used this conflict between generals and administrative staffs, and urged these generals to assault Mitsunari. 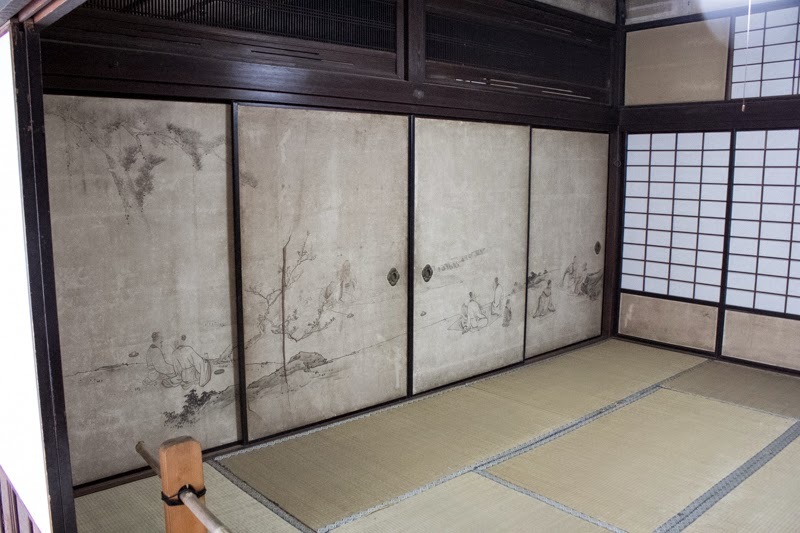 Mitsunari who escaped the attack of these generals left his position and returned to his residence Sawayama castle, considering to raise his army against Ieyasu in the future. Ieyasu who expelled Mitsunari took next step to his hegemony. At first he accused Toshinaga Maeda (1562-1614), son of Toshiie, had a plan to assassinate Ieyasu, and prepared to raise an army against Maeda clan as a general minister of Toyotomi government. But Toshinaga did not resist to Ieyasu and sent his mother Hoshunin (1547-1617, known as Matsu) as substantial hostage to Ieyasu, and escaped from the target. Ieyasu next did the same thing to Kagekatsu Uesugi, but Kagekatsu was an adopted son of Kenshin Uesugi (1530-1578) who was called as god of war and too proud　to subordinate to Ieyasu. Furthermore, Kanetsugu Naoe (1559-1620), the vassal of Kanetsugu, was close to Mitsunari. In April 1600, Ieyasu sent an accusing envoy to Kagekatsu mentioning he was ready to subjugate Kagekatsu. In response to this, Kanetsugu replied in his letter called “Naoejyo” (Naoe letter) that Ieyasu himself is planning to deprive the hegemony from Hideyoshi, neglecting the will of Hideyoshi. Now Tokugawa clan and Uesugi clan totally broke, and Ieyasu organize large army under the name of Toyotomi government and marched to Aizu region in June. Seeing this military vacuum, Mitsunari Ishida raised his army against Ieyasu cooperating other large lords such as Mouri clan or Ukita clan. It is said that Mitsunari already planned with Kanetsugu of this action, but it is unknown if there was a clear agreement or just Mitsunari used the situation. Anyway Mitsunari organized anti Tokugawa lords and tried to seize Kinki region against Ieyasu, thus the first target was Fushimi castle. Ieyasu expected raise of Mitsunari during his vacancy, and placed his confident general Mototada Torii (1539-1600) and Ietada Matsudaira (1555-1600) as commanders of the castle. To enact the raise of Mitsunari, Ieyasu left only 2,000 soldiers to Fushimi castle, and to protect the authority of Tokugawa clan and enhance the moral against Ishida army, these two generals had to share the fate with Fushimi castle. 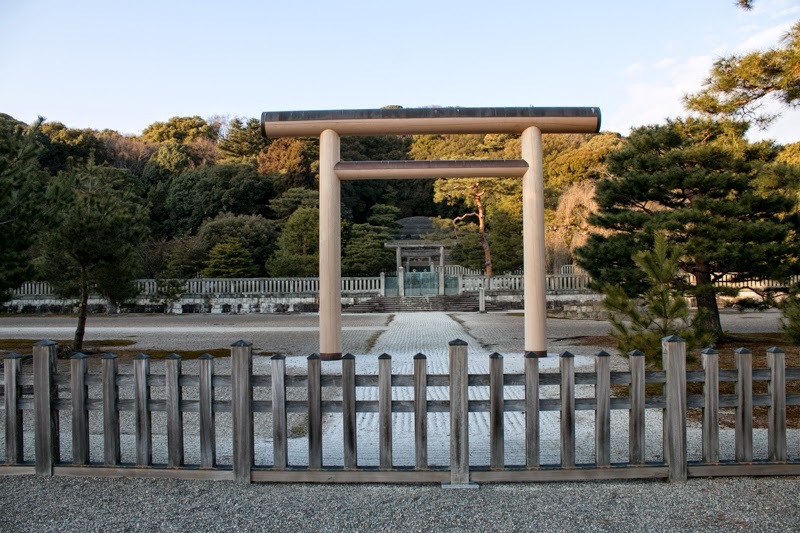 Mototada Torii was an old general of Ieyasu shared joy and sorrowfrom youth period, and Ietada Matsudaiwa was distant relative of Ieyasu who was known for his diary “Ietada Nikki” during 17 years. In July 18, 1600, Ishida side army started a siege toward Fushimi castle. Ishida side had about 40,000 soldiers, but they were mixed up armies and could hardlyfall the castle. After 10 days battle, finally Masaie Natsuka (1562-1600), lord of Koga region where was known for the place of Ninja, forced the betrayal of Koga Ninjas in the castle by keeping their families as hostages and let them explode the armory. In August 1st, Ishida side army at last captured Fushimi castle and two generals died in the castle, but this hard fight significantly hurt the reputation of Mitsunari as a military leader. Fushimi castle was built by Hideyoshi to protect his sons and government and had the area with the name of Mitsunari, but ironically itprevented the plan of Mitsunari who actually tried to save Toyotomi clan. Finally, Mitsunari could not control other lord by the end, and fought with Ieyasu at the battle of Sekigahara but was defeated. Mitsunari was executed after the battle, and Ieyasu virtually seized the hegemony. 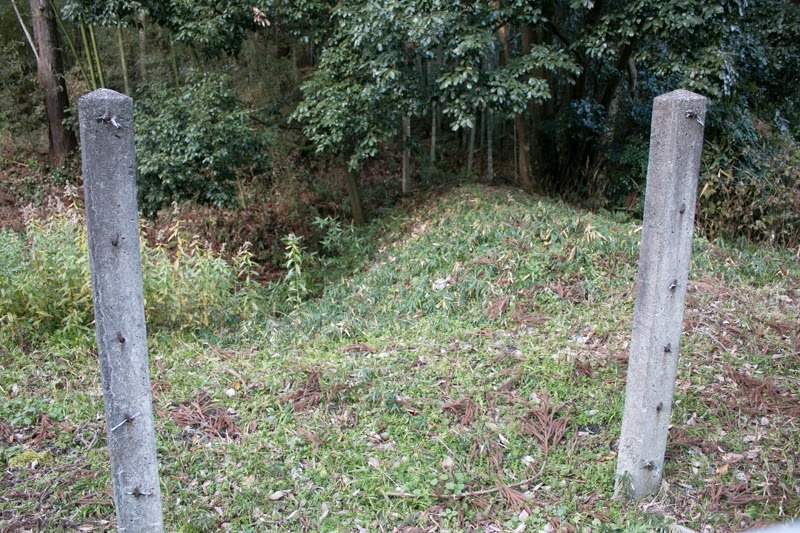 Fushimi castle was significantly damaged by the battle with Ishida army, and Ieyasu who won the battle of Sekigahara promptly reconstructed the castle. 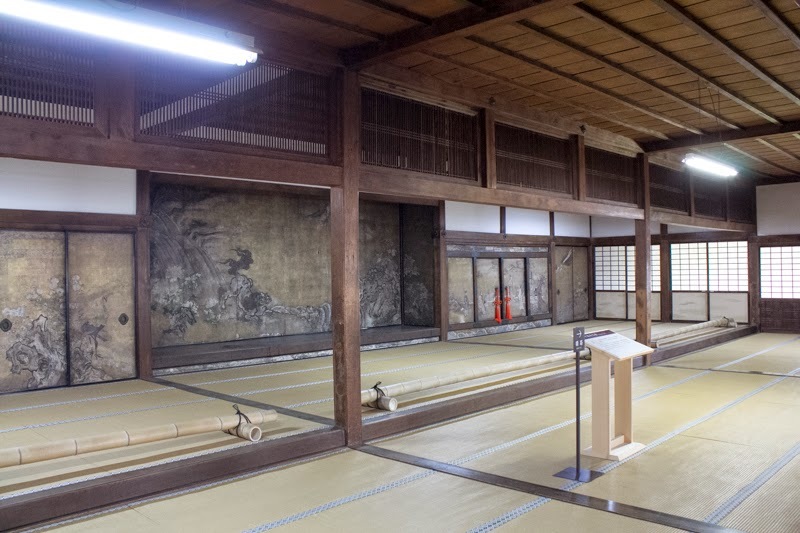 It was necessary to enhance the authority of Ieyasu as the ruler, and also a counterpart castle against Osaka castle where Hideyori Toyotomi lived was necessary. Fushimi castle was used as a nomination of Ieyasu as a first Shogun Shogun of Edo Shogunate in 1603. In 1615, Ieyasu ruined Hideyori Toyotomi at the battle of Osaka castle. 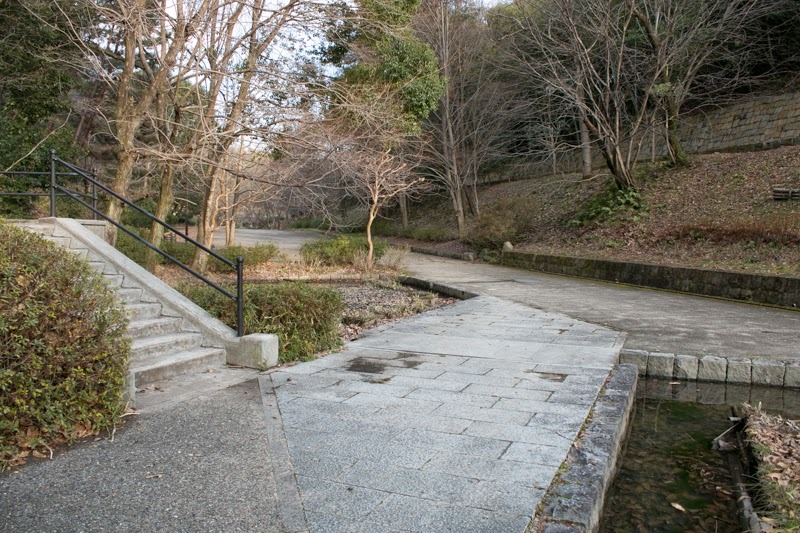 As Edo Shogunate already had Nijyo castle in Kyoto city, there was no need to keep such a huge castle in this area. 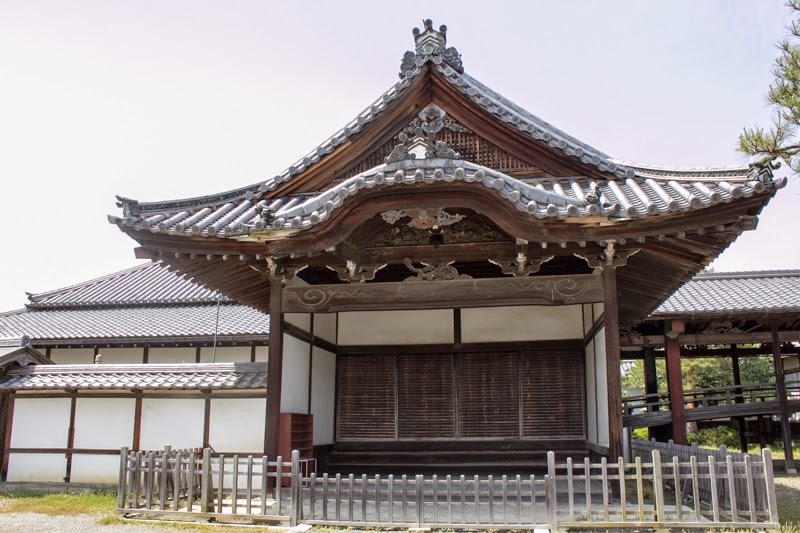 In 1623, Fushimi castle was formally abolished, and many buildings were transferred to Fukuyama castle (Hiroshima prefecture), Yodo castle (Kyoto prefecture) and neighbor Temples and Shrines to show the authority of Edo Shogunate. 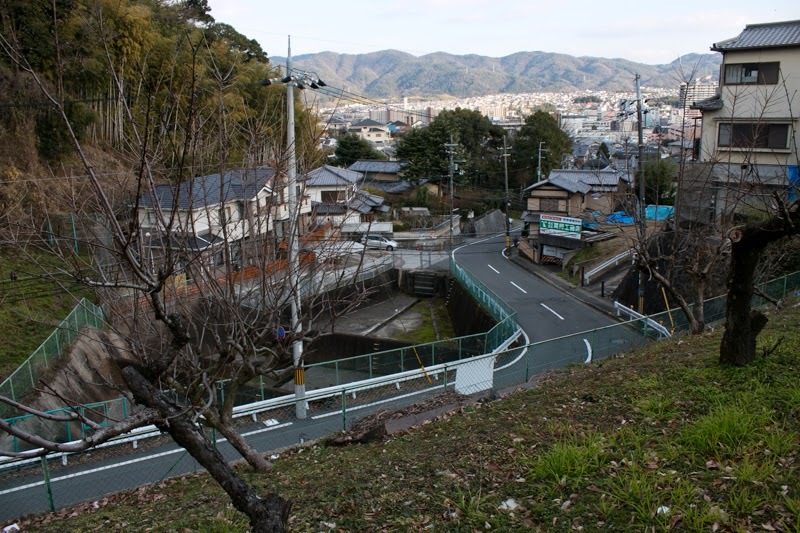 After abolishment, peach trees were placed at the hill and this place became called as Momoyama (peach hill). 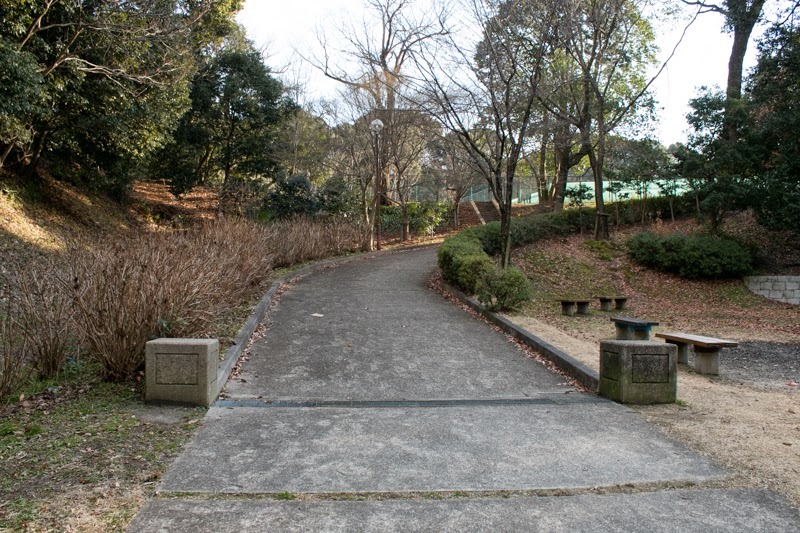 As above, currently the core area of the castle is used as a grave of Emperor and Empress, thus entrance is limited. 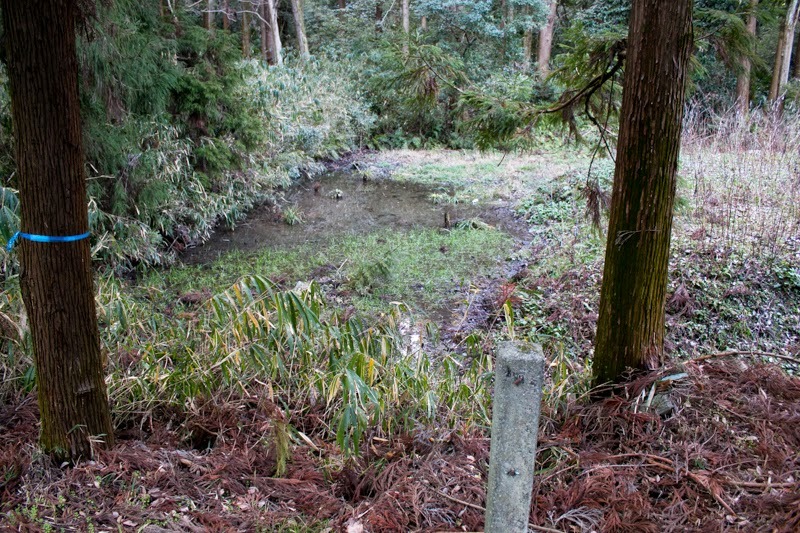 But north part of the castle is used as a park, and ruin of water moat remain as a deep valley. 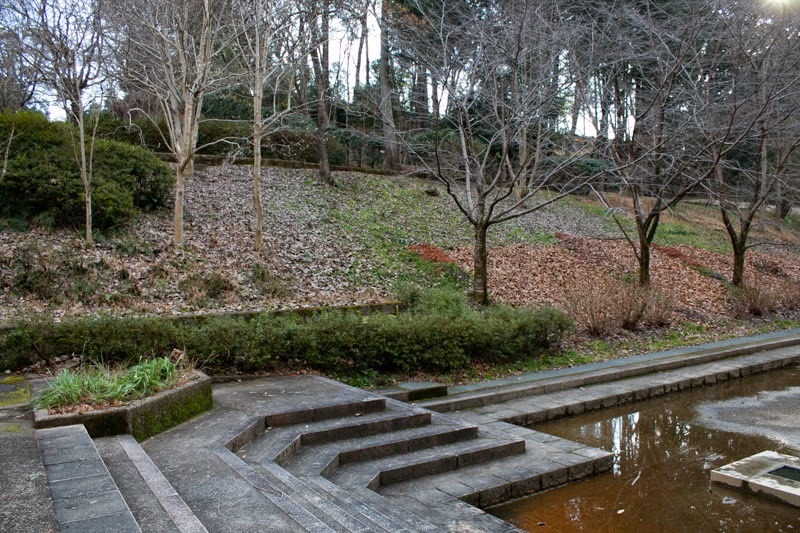 Once this area is used as a park and an imitation of main tower was built, but now this imitation building is closed. 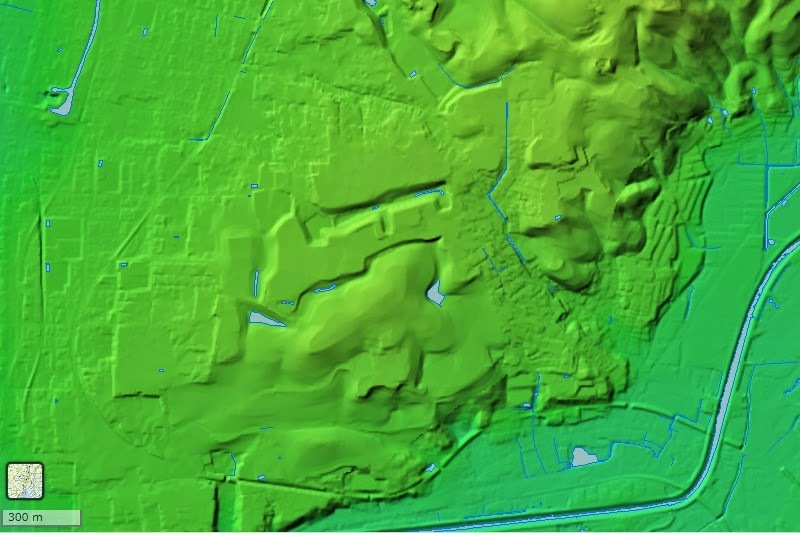 In spite of above situation, the trace of the castle such as undulation of terrain or trace of moats is seen around the hill. And former buildings of the castle were transferred to many castles, temples and shrines, several buildings escaped destruction then escaped destruction and remain until now at different place. Fushimi turret at Fukuyama castle, gate of Gokogu Shrine near the castle, Gate of Nishi Honganji temple in Kyoto city, main hall of Konchiin Temple in Kyoto city, main hall of Daituji temple in Nagahama city, main hall of Tsukubushuma Shrine in Tsukubushima island of Lake Biwako are regarded as former buildings of Fushimi castle, and still shows elegant exterior of Azuchi Momoyama style. Hizen Nagoya castle (肥前名護屋城, formal name of this castle is Nagoya castle but to distinguish from Nagoya castle at Aichi prefecture, it is often called as Hizen Nagoya castle) is located at hill in the center of Higashi Matsuura peninsula, about 10 kilometer north of Karatsu city. 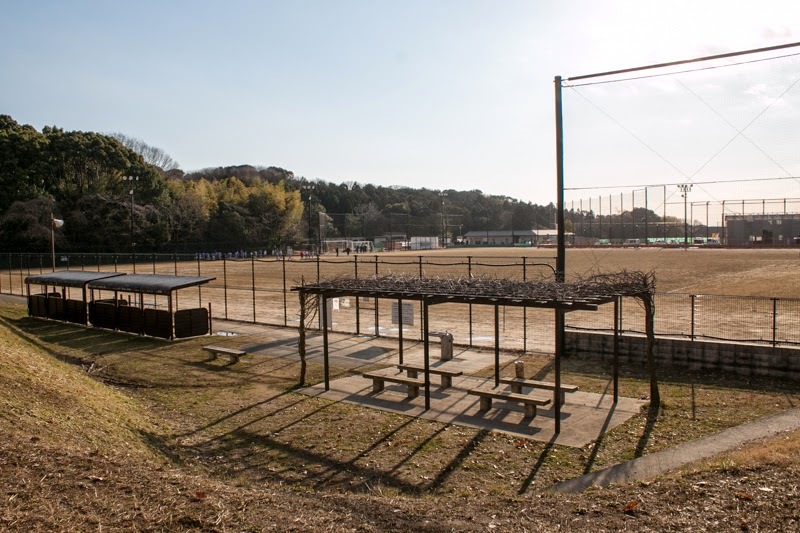 Higashi Matsuura peninsula is a one of five kilometer wide and 10 kilometer long faces Tsushima straight, and locates at the edge of linear connection route between Japan and Korea through Tsushima island and Iki island. In addition to this, this peninsula consists of rias coast, and numerous gulfs guarded by small islands were ideal for the anchoring place for ships. In medieval era, north coast area of Hizen province (Saga prefecture and Nagasaki prefecture) was held by Matsuura party. 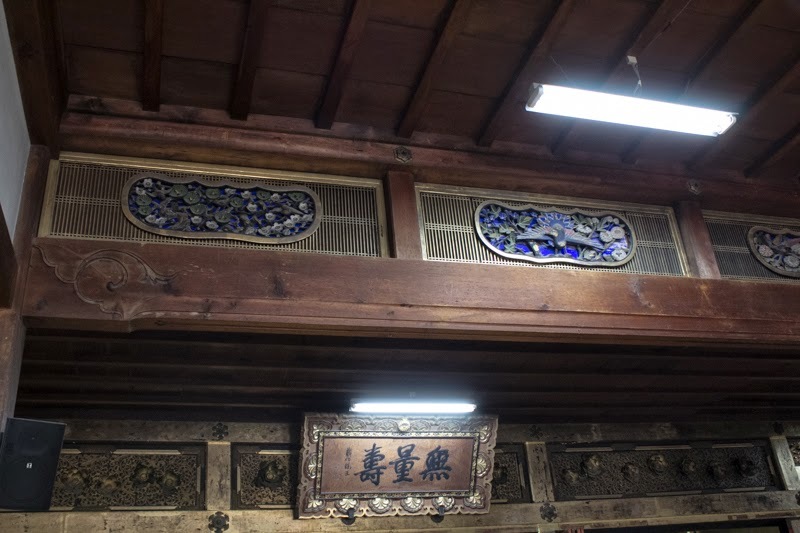 Matsuura party was a coalition of local retainers stem from 11th century, and engaged in commercial and maritime activity around East China Sea and Tsushima straight. At the time of Genko, sequential invasions of Chinese Yuan dynasty and Koryo kingdom of Korea to Japan in the latter half of 13th century, Matsuura army activated at the naval battle against intruders. In Muromachi era, Hata clan grew to the leader of east part along with Hirado clan which became the leader of west part of Matsuura peninsula. 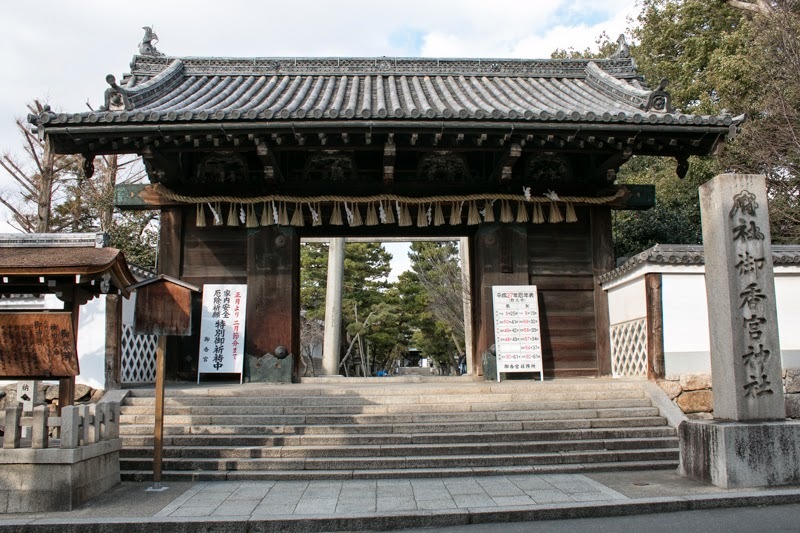 Hata clan resided at Kishidake castle (Saga prefecture) and exercised their power around East Matsuura peninsula, but later they became weakened because of internal conflicts and had to subordinate to surrounding strong warlords such as Ryuzoji clan or Shimazu clan. At the time of Kyushu campaign by central ruler Hideyoshi Toyotomi (1537-1598), Kishi clan once surrendered to Hideyoshi and once was forgiven, but later was expelled and ruined. 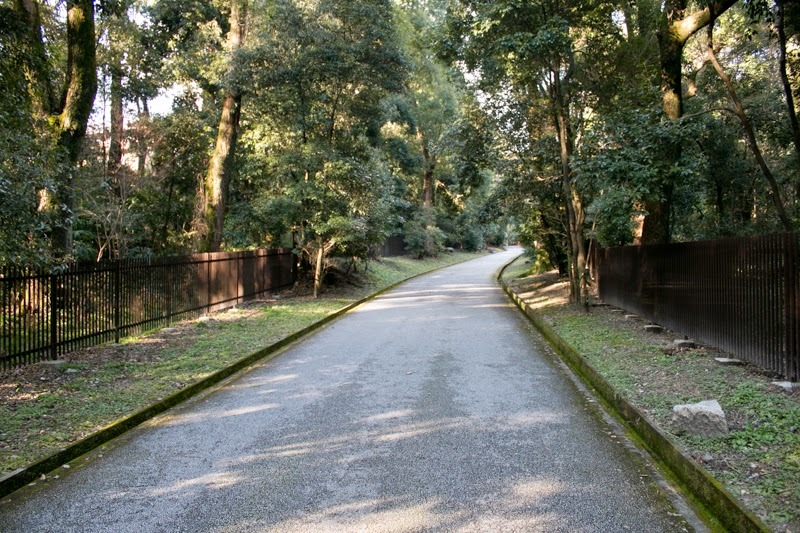 Instead of Hata clan, Hirotaka Terasawa (1563-1633), general of Hideyoshi, became the lord of this area. Originally there was a small castle of Matsuura party at the current place of Hizen Nagoya castle. In 1590, Hideyoshi Toyotomi defeated Hojo clan which had most part of Kanto region, and united all over the Japan. Hideyoshi further planned foreign expansion, and decided to build a new castle as his headquarter at this place. At the time of Odawara campaign against Hojo clan, Hideyoshi already built Ishigakiyama castle (Kanagawa prefecture), a modern one wholly protected by stone walls as his headquarter, and Hojo clan which saw the power and strong will of Hideyoshi finally surrendered. Hideyoshi might aim to do the same thing on a large scale to foreign counties across the ocean. The planning of the castle was made by Yoshitaka Kuroda (1546-1604, famous as Kanbe), a famous military staff of Hideyoshi, and actual construction were performed by local lords of Kyushu Island under the command of Kiyomasa Kato (1562-1611) and Masanori Fukushima (1561-1624), two young commanders under Hideyoshi. The construction was started from the autumn of 1591, and competed in the spring of 1592. Hizen Nagoya castle spread along with a jackknife shaped hill of 50 meter high from the hillside, which spread to southeast ward and south west ward from the center point. Central area is a square shaped area of 100 meter length, and places at the highest point of the hill in the east half of the hill. At the north edge of the central area, where is the crossing point of two ridges, there was a five story seven floor main tower built on the 20 meter long square basement. Third area located at the east of central area directly guarded the entrance into central area, and a 150 meter long and 20 meter wide slope continued from the main gate of the castle at the hillside to the central area along with east side wall of third area. 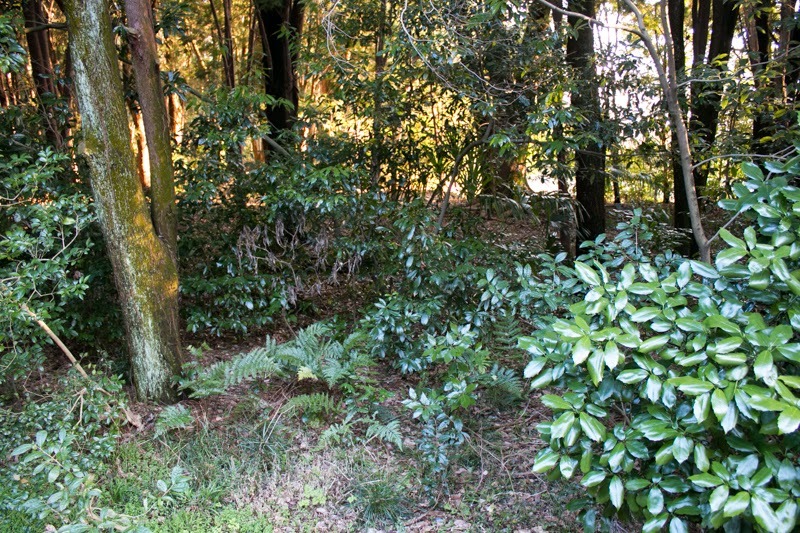 At the west part of the hill, there spread the secondary area and Danjo-maru area of 200 meter long and 100 meter width. 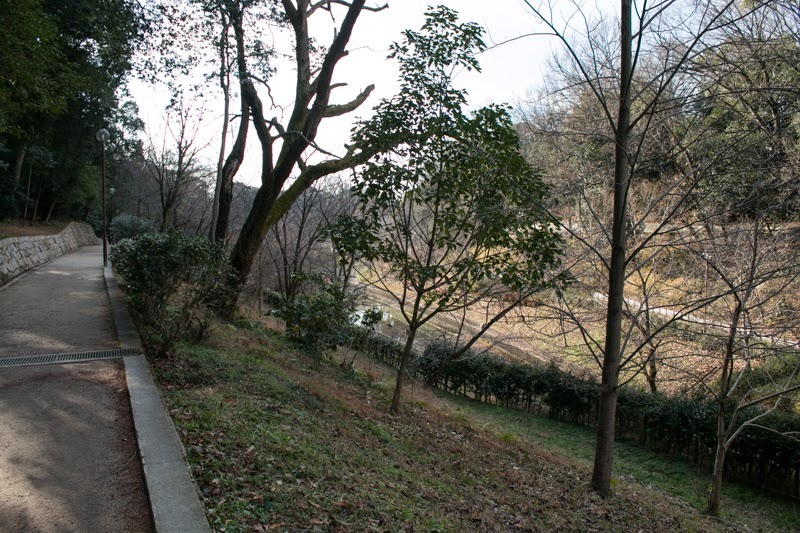 At the west edge of the hill a magnificent “Masugata” style (combination of two gates and buffer area) backside gate was built, same style as font gate. 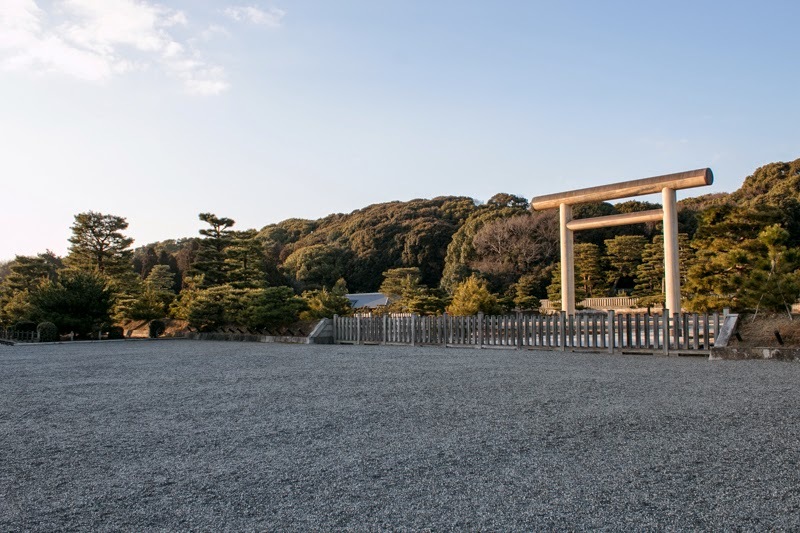 Several areas such as Yugeki-maru or Mizunote cover the north slope of the hill, and private residence of Hideyoshi and his concubine Yodogimi (1569-1615) named as Yamazato-maru and huge complex style outer gate were placed at the north east side of the hill. Outer area including well and kitchen existed at the east of the hill, and wide dry moat surrounded east half of the castle. Total size of Hizen Nagoya castle reached to 1,000 meter long and 500 meter width, and whole part of the castle were protected by stone walls. 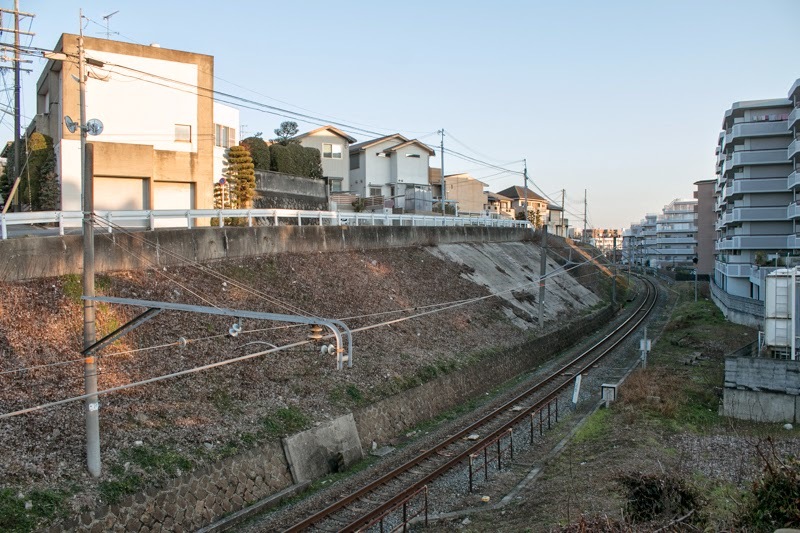 Total length of stone wall might exceed three kilometer. As it was not expected to fight with the enemy using this castle, military element is not so strong for Hizen Nagoya castle. 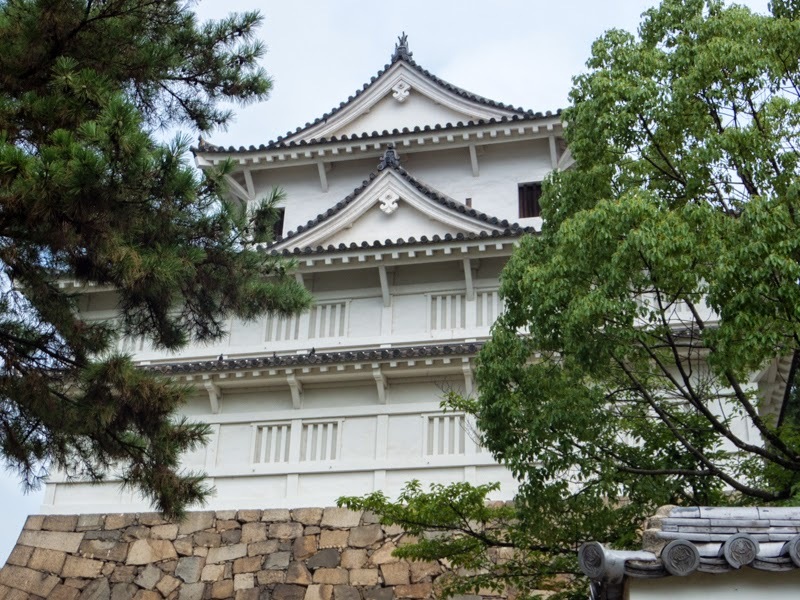 Stone walls are not so high and steep compared with other large castle built at the beginning of Edo era such as Osaka castle or Kumamoto castle, and number of turrets is limited considering its huge size. 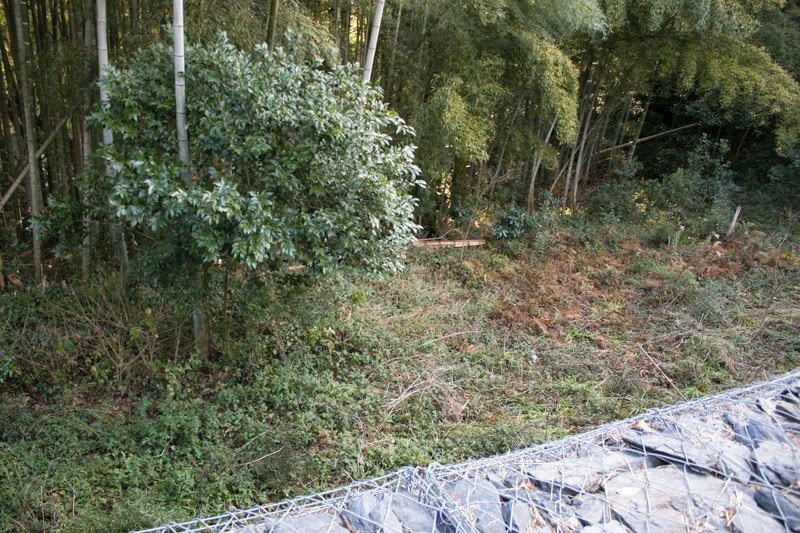 Even though folded and protected by stone walls, a long and gentle wide slope continues from the outside to the central area. 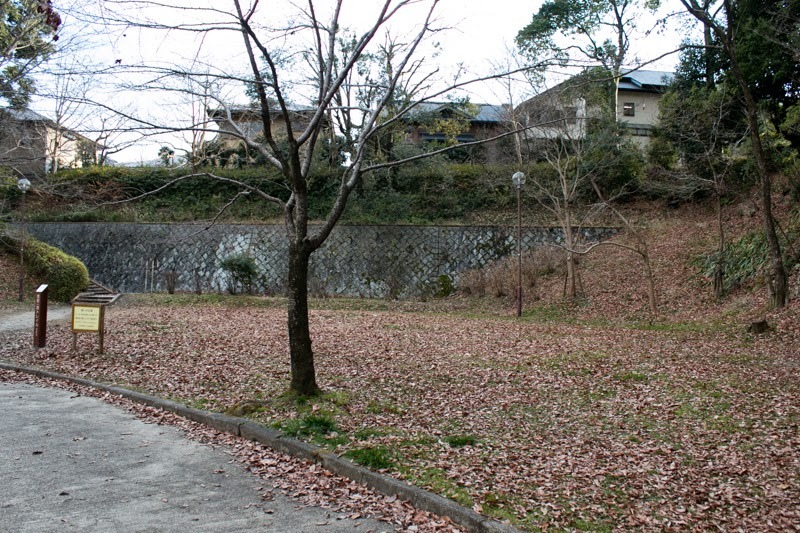 Layers of flat and wide terrace emphasized the authority of Hideyoshi and might look closer to Chinese palace such as Forbidden City, instead of Japanese castle. Hideyoshi liked such kind of style, and Osaka castle at the time of Hideyoshi is said to have the same elements. 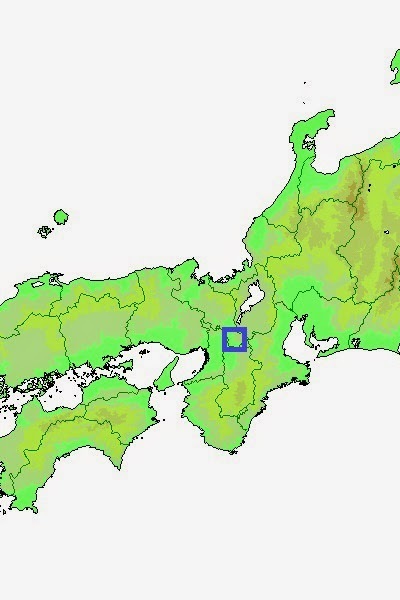 Hideyoshi gathered all of the lords to this area, irrespective to actual participation to military action. 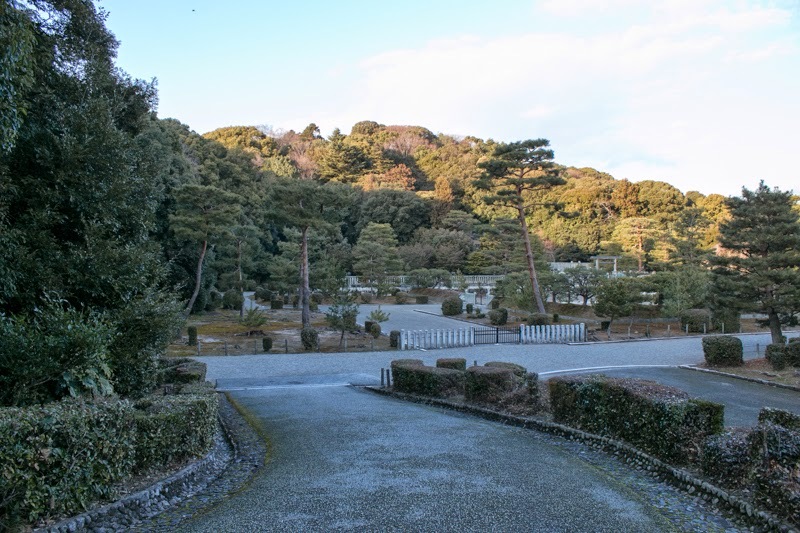 Many lords with over total 100,000 soldiers stayed all over the peninsula surrounding Hizen Nagoya castle. As the stay continued long time, each lord had a permanent base guarded by stone walls. 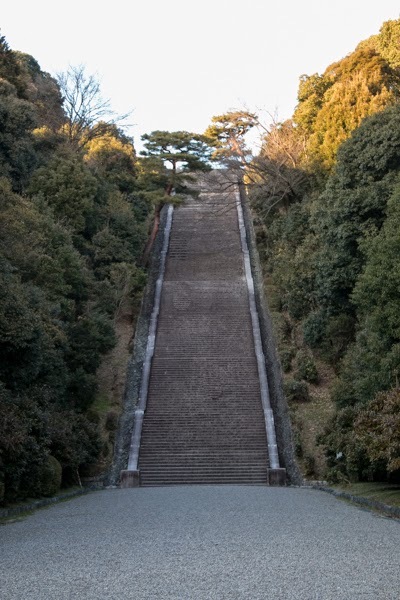 Especially the base of Toshiie Maeda (1539-1599), large and close lord to Hideyoshi stayed just next to Hizen Nagoya castle, had a magnificent entrance protected by tall stone wall, equivalent to Hizen Nagoya castle. 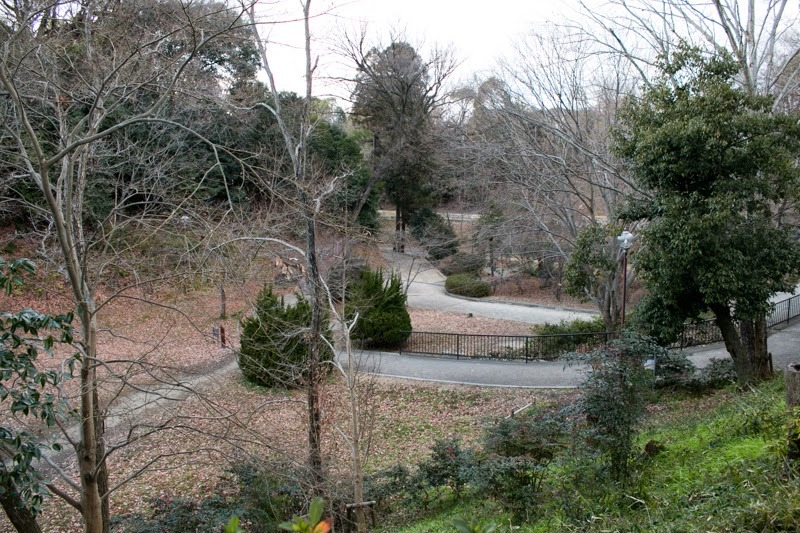 Hideyoshi commanded foreign operation from this castle, but without any achievement died in ill in 1598. Subsequent to the death of Hideyoshi, a conflict between Ieyasu Tokugawa (1543-1616), the largest lord under Toyotomi government and Mitsunari Ishida (1560-1600), a chief administrative staff of Hideyoshi occurred. Hirotaka Terasawa supported Ieyasu Tokugawa who won against Mitsunari, and was given Amakusa area (Kumamoto prefecture) as a reward. Under the order of Edo Shogunate established by Ieyasu, Hizen Nagoya castle was abolished and destructed to erase the impression of Hideyoshi and his foreign expedition. It was too large to demolish, but basement of main tower was thoroughly destructed as a symbol of the castle. 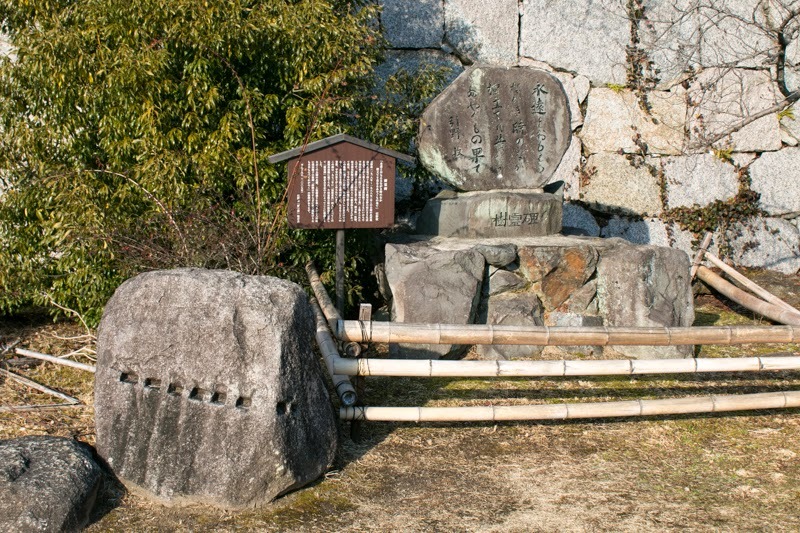 Stone of the castle were used to build Karatsu castle (Saga prefecture)at 10 kilometer south of this castle. 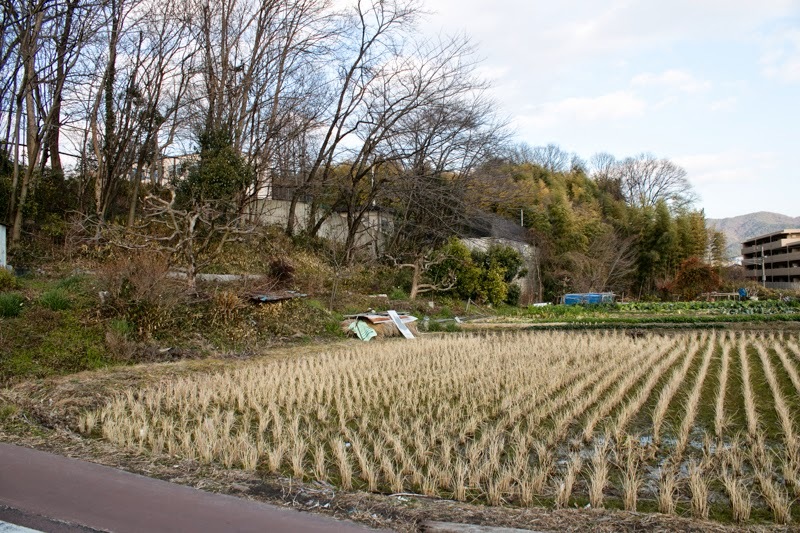 Furthermore, 30 years later, a large rebellion of local pheasantsnamed “Shimabara no Ran” (incident of Shimabara) occurred at Shimabara area and Amakusa area in 1637, because of strict politics of Itakura clan at Shimabara area and Terasawa clan at Amakusa area, in addition to suppression to Christians. Edo Shogunate subjugated this rebellion with certain damage, and to prevent recurrence of such rebellion Edo Shogunate again ordered to break the ruin of Hizen Nagoya castle again. 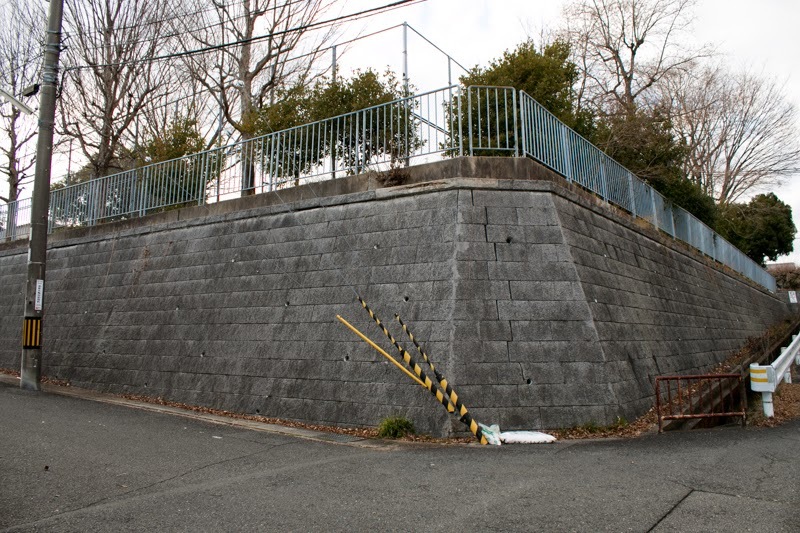 To remove the defensive function, corner of the wall were demolished, and top of the wall were tear down to let the attacker walk up the wall. Several gates were filled with sands, to destroy the function of traffic control. But certain part of stone walls still remained two time destruction. 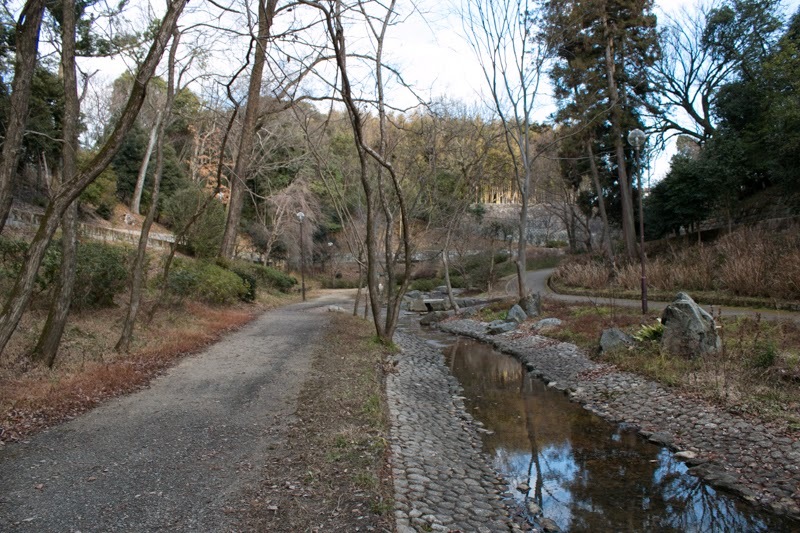 Subsequent to Meiji revolution, the site of the castle became a historical site and has been improved. 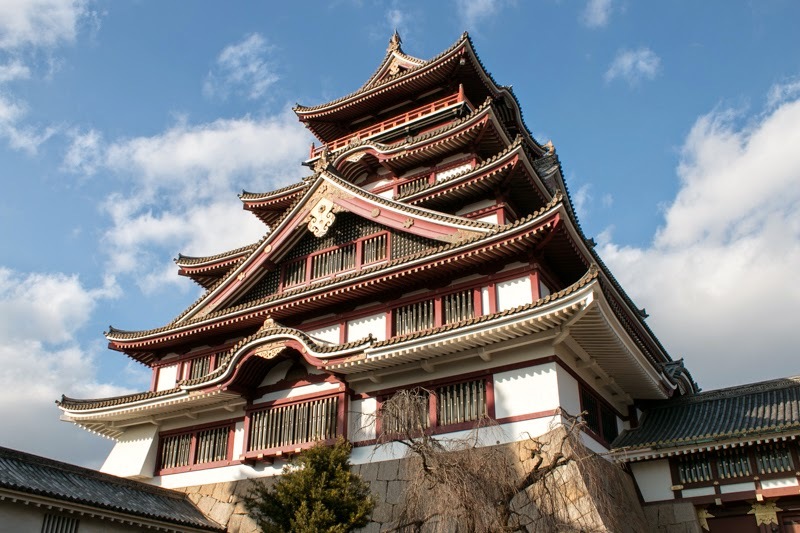 As a ruler Hideyoshi built three huge castles, it means Osaka castle (Osaka prefecture), Fushimi castle (Kyoto prefecture) and this Hizen Nagoya castle. But Osaka castle was totally renovated by Edo Shogunate and lost the original shape of Toyotomi era, and Fushimi castle was now off limit because it is used as a grave of Emperor Meiji. Even though certainly broken, Hizen Nagoya castle is valuable as an only remnant of huge castle keeps its original atmosphere built by Hideyoshi. 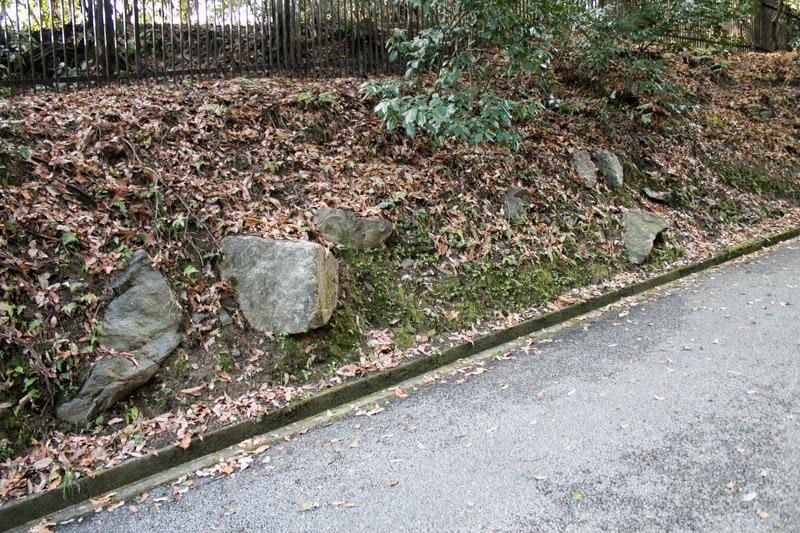 Being built by unfortunate circumstance and located at distant place, it might be regarded as one of the best castle ruins in Japan itself and, and long continuing stone walls consist of rough stones are worth for visiting. 40 minutes bus ride from Showa bus Karatsu bus center at Karatsu city. 30 minutes drive via Route 204 from Karatsu city.